Recreated from @stylethosenails – It caught my eye on instagram because it’s such a pretty mani. Polishes used were; OPI Natural base, MAC – Frosty much adored, OPI liquid sand – Solitaire, Sinful Colors – Snow me white and Essie – Good to go. Also added some tiny beads for the centre of the snowflakes. Liquid sand it one of my favourite and this time I tried sponging it on which worked so much better than painting, it gave way better coverage. 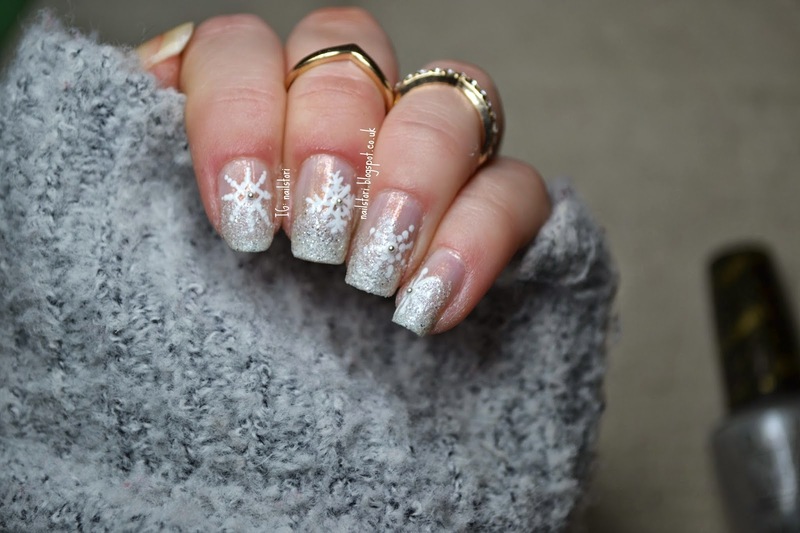 The snowflakes are hand painted, I’m trying to up my skill in the hand painting area because some nails bloggers out there have mad skill…which I strive towards! Apologies for not painting my thumb (which you probably didn’t realise until I pointed it out) it was going through a bit of repair so I didn’t paint it.